Young director Sriram Aditya had begun his career with the comic kidnap drama Bhale Manchi Roju starring Sudheer Babu and Wamiqa Gabbi, and the movie went on to become a commercial success ending as a great start to his career, and he was considered a promising maker. 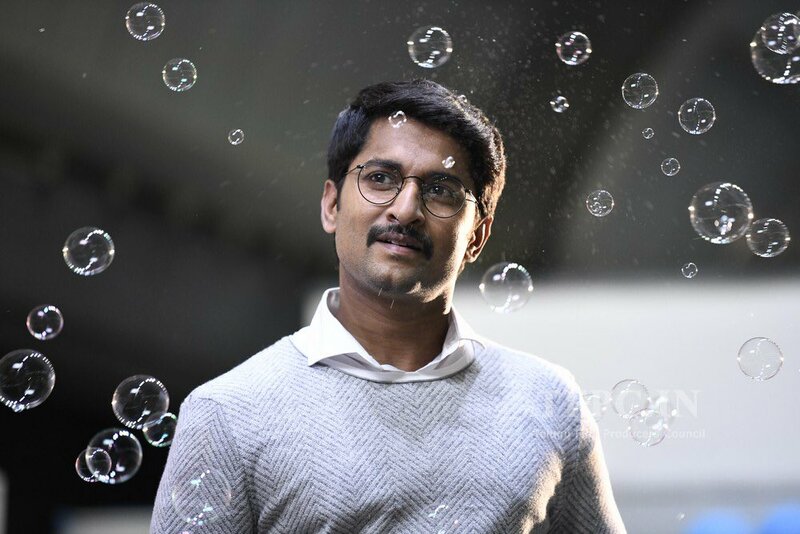 Later, he had come up with the multistarrer Shamantakamani, starring Sudheer Babu, Nara Rohit, and Aadi Saikumar, and the movie ended as a surprisingly decent outing at the box office as well, and with his first two movies, Sriram Aditya had earned the tag of a talented maker. Now, the young talent was last seen in the crazy multistarrer Devadas starring King Nagarjuna and Natural Star Nani. Rashmika essayed the role of a cop in this movie. Now, sources reveal that Rashmika and Nani are coming together for a new project once again.